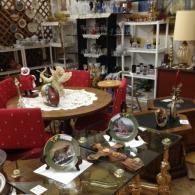 We offer a large selection of quality, inexpensive and unique items perfect for the home or office. Decorating is made easy & fun at the Behr Barn, where you can find everything you need under one roof! 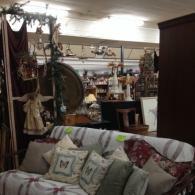 Why pay high retail prices when you can get great items here at the Behr Barn? 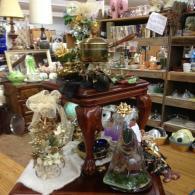 Stop by Today to Find That Perfect Buy! 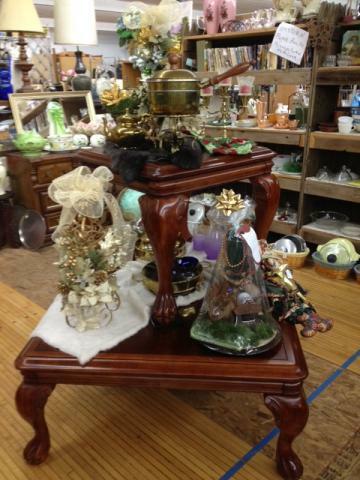 At Behr Barn in Ruidoso, NM, you can bet that we have an assortment of unique home decor items and collectibles available weekly! 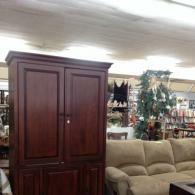 Great variety of furniture: dressers, end tables, coffee tables, dining room tables & chairs, China cabinets, benches, shelves, etc. Lots of art: framed & unframed prints, original paintings, posters, sculptures, plaques, statues, photography, etc. Wrought iron yard sculptures: roosters, cowboys & cowgirls, giant flamingo, etc. Elegant collectible glass: Fenton, Fiesta, Pfaltzgraff, Indiana, Pyrex, Homer Laughlin, Frankoma, amberina, milkglass, ruby red, carnival, uranium/vaseline, jade, crystal, USA pottery, Japan/Asian, Germany, etc. All types of media: vintage records & albums, VHS tapes, cassettes, CDs, DVDs. Wonderful variety of books: fiction, westerns, cookbooks, bibliography, science, self-help, magazines, collectibles such as Life, Vanity Fair & Comic books.